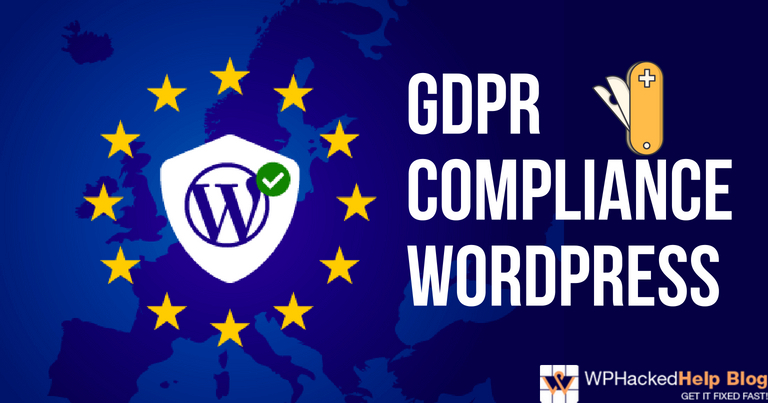 WordPress versions 4.9.6 and earlier are affected by a media issues that could potentially allow a user with certain capabilities to attempt to delete files outside the uploads directory. Added escaping to the language attributes used on html elements. Ensure correct escape of attributes of enclosures in RSS and Atom feeds. Major Customizer Improvements, Code Error Checking, and other improvements were made in this release. See image below. This is a security release for all previous versions. WordPress versions 4.8.1 and earlier were affected by security issues which were patched in this release. Security issues are listed as following. $wpdb->prepare() – added hardening to prevent plugins and themes from accidentally causing a vulnerability. A cross-site scripting (XSS) vulnerability in the oEmbed discovery. A cross-site scripting (XSS) vulnerability in the visual editor. A path traversal vulnerability in the file unzipping code. A cross-site scripting (XSS) vulnerability in the plugin editor. A path traversal vulnerability in the customizer. A cross-site scripting (XSS) vulnerability in template names. A cross-site scripting (XSS) vulnerability in the link modal. The final version, WordPress 4.8 Evans has been released on June 8. Named after the jazz pianist and composer William John “Bill” Evans, this latest version of WordPress is available for updating your old website. WordPress released this version with the 3 significant enhancements. With this software, WordPress aimed at making widgets friendlier than the existing ones and increasing awareness, participation of people in their community events. Enhanced visual editor experience, with inclusion of a new TinyMCE that permits users to navigate more intuitively in and out of inline elements like links. An improved dashboard with news widget to provide information about nearby and upcoming events such as meetups and WordCamps. Addition of several new media widgets to cover images, audio, and video, and an enhancement to the text widget to support visual editing. The final version, WordPress 4.7 has been released on December 6, 2016. The 4.7 version of WordPress, named ‘Vaughan’ in the honor of legendary jazz vocalist “Sassy” Vaughan is available for the download with all the new features. Introduction of new ‘Twenty Seventeen Theme’ ideal for the business websites. Developers now have an opportunity to include video headers in the WordPress Themes and users can easily update them via customizer. Theme setup with the live preview of changes. Can add custom CSS directly via Customizer and preview the changes before you publish. Directly add pages within the menu editor. Can view WordPress dashboard in different languages. Can easily view thumbnail of the first page of PDF within media library. WordPress 4.6 has been recently landed honoring the famous jazz saxophonist Park Frederick “Pepper” Adams. The release was headed up by Dominik Schilling and supported by 272 contributors. It was just released after four months of WordPress 4.5 with the addition of many new features. Addition of a reliable content recovery mode and better auto save feature. Automatically checks and highlights the broken links. Started using system fonts of your operating system to maintain the uniformity in the look. Easy to install, update and delete themes or plugins while staying on the same page to provide better user experiences. WordPress 4.5 named after a great Jazz musician Coleman Hawkins, is a major WordPress update to improve your WordPress publishing experience. The WordPress release 4.5 was heading up by Mike Schroder and supported by 298 contributors. Ability to preview WordPress website on different device screens via customizer in dashboard. Users can easily set logo for their website. Introduction of a better inline link editing feature. New handy shortcuts included to streamline the writing experience. Easy comment moderation improvement to manage the comments and easily view in an editor. Image optimization feature added to create upto 50% smaller image while retaining the image quality. Easy login by username and email address. WordPress 4.4 ‘Clifford’ named after the jazz trumpeter Clifford Brown. The WordPress release 4.4 came with a new Twenty Sixteen theme. The release was led by Scott Taylor and supported by 471 contributors. One of the best feature includes the responsive images on screen. Supports responsive images on the screen. Can easily embed content anywhere by grabbing the URL and pasting it to content editor. You can preview the changes as well. Introduction of a new Twenty Sixteen for websites and blogs featuring sidebars, color schemes, large images and more. Add custom field to the taxonomy objects. Provides Rest API functions into core. Addition of Single post template file. Named in the honor of legendary jazz singer Billie Holiday, the final version of WordPress 4.3 “Billie” is all set to update the look and features of your old dashboard. You can now edit, update Menus using Customizer that also allows to live preview changes without altering the appearance of the site until you’re ready. The Site Icon feature will help manage your site’s favicon and app icon from the admin section . 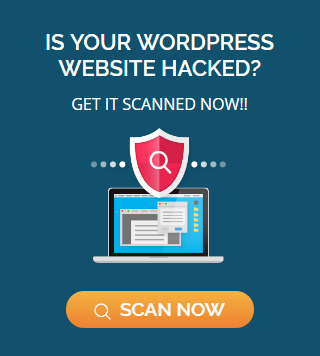 You will feel the sense of security using the Improved Passwords throughout WordPress. Now, WordPress will limit the lifetime of password resets, no longer send passwords via email, and generate, suggest secure passwords for you. The list view has been made better across the admin dashboard and is now device compatible. So, even if the posts and pages are viewed on small screen devices, columns are not truncated and can be toggled. A better experience in handling the admin area – Improvements made to the list view across the admin will create a friendlier environment and it will be convenient to manage across various devices. Comments turned off on pages – The comments have been turned off for all the new pages you will create. The comments feature has been restricted to your blog page. Customize your site quickly – If you are on the front-end, click on the customize link in the toolbar to promptly execute changes in the website. Named in the honor of jazz pianist Bud Powell, the final version of WordPress 4.2 “Powell” is all set to update the appearance of your old dashboard. A convenient and easy way to post, share content: Use the new and improved Press This from the Tools menu to quickly share videos, images, and content. Enjoy the Extended character support: We have moved a step further with the newly introduced characters and languages. Now, use native Chinese, Japanese, and Korean characters, musical and mathematical symbols, and hieroglyphs in your website. Have fun with the creative emojis. Browse, preview and switch themes from the ones installed in the Customizer. Embed your favorite links from other sites and check out their alluring appearance in the editor. Simply click Update Now for smooth and simple plugin updates. WordPress has launched its version 4.1 “Dinah” that has been named in the honor of jazz singer Dinah Washington. You can download or update this latest version to experience the newly added features. Introduction of new default theme, Twenty Fifteen. With language support from Google’s Noto font family, this blog-focused theme helps you pay attention on the writing and its appearance across various devices. The “Vine” feature enables you to conveniently embed a video. The plugin installer will recommend plugins you can install and use for specified purposes. Download or update your old WordPress version with the recent launched WP 4.0 “Benny” to avail the benefits of the new introduced features. This version has been named in honor of jazz clarinetist and bandleader “Benny Goodman”. The elegant, endless grid preview helps you manage your media in a better manner. You will be able to edit and view your media files in a sequential manner. Embedding a video, tweet couldn’t have been simpler!! Simply paste your favorite YouTube video URL in the editor to embed the video. You will find it simple to write in this new editor that expand as you write to fit your content. Also, the formatting tools are available as you scroll down to write the content. The WordPress plugin directory offers more than 30,000 free and open source plugins. The version 4.0 helps you look for the best available option as per requirements. WordPress 3.9 “Smith”, named after a jazz organist Jimmy Smith and supported by 267 contributors. The release was a great enhancement for the media editing experiences. Add, update, rearrange and delete the widgets in the theme customizer and can preview the changes. WordPress 3.8 “Parker” was released on December 12, 2017 in the name of Charlie Parker, a jazz saxophonist, bepob innovator and supported by 188 contributors. The release came with a new Twenty Fourteen theme and was lead by WordPress co-founder, Matt Mullenberg. The entire focus was on the new admin interface and the customizability. WordPress 3.7 “Basie” landed up in the honor of Count Basie, an American jazz organist, pianist, composer and a bandleader. The release was lead by Andrew Nacin and was supported by 211 contributors. One of the main feature of WordPress 3.7 was an automatic update. WordPress 3.6 “Oscar” is dedicated to Oscar Peterson, a famous jazz pianist. The WordPress release 3.6 was released with an elegant Twenty Thirteen theme inspired by modern art that effectively puts focus on the content with colorful, single column design. WordPress 3.5 “Elvin” was released on December 11, 2012 in the name of jazz drummer, Elvin Jones. The release 3.5 came with a Twenty Twelve, a clean minimalist theme for a more streamlined look. WordPress 3.4 “Green” was released on June 13, 2012 in the name of a jazz guitarist Grant Green. The major enhancements were in the admin section, improvements and bug fixes. WordPress 3.3 “Sonny” was released on December 11, 2012 in the honour of the American jazz saxophonist ‘Sonny Stitt’. WordPress 3.2 landed on July 4, 2011 to honor the American pianist and composer George Gershwin. It is the fifteenth major release of WordPress that allows you to have better writing experiences. WordPress 3.1 “Reinhardt” was released on February 23, 2011 to honor the jazz guitarist Django Reinhardt. The WordPress release was considered as the fourteenth release that was long-awaited. More than 180 developers worked hard to release 3.1 version of WordPress. Following the efforts of 218 contributors, WordPress has finally released its new version 3.0 “Thelonious“. You can now download or upgrade your old WordPress dashboard with the recent launched version. WordPress 3.0, the thirteenth major release of WordPress, comprises of a new default theme called Twenty Ten. The theme provides developers with new APIs to conveniently apply custom backgrounds, headers, shortlinks, menus , post types, and taxonomies. You will relish the merger of MU and WordPress that enables new multi-site functionality. As a result of this functionality, you will be able to run one or more blogs from the same installation. The new lighter interface and enhanced features will be a blessing. In addition, you will be able to upgrade 15 plugins at once with a single click. WordPress has released its version 2.9 “Carmen”, named in the honor of magical jazz vocalist Carmen McRae. Upgrade to the version by going to Tools > Upgrade, or you can download from WordPress.org. A major feature included in this version is the Global undo/”trash” feature that allows you to bring back a post or comment from the trash that has been accidentally deleted. As a part of the media-handling refinements, you will be introduced to the Built-in image editor that will help crop, edit, rotate, flip, and scale your images. You will no more have to update plugins individually, the Batch plugin update will permit updating 10 plugins at once. Also, the compatibility checking will ensure whether a plugin is compatible with the new releases of WordPress or not. You will be easily able to embed the videos by just pasting the URL. WordPress has launched it version 2.8 “Baker” that has been named in honor of noted trumpeter and vocalist Chet Baker. You can download or update this latest version to experience the improved themes, widgets, taxonomies, and overall speed. With refinement in the style and scripting, 2.8 offers a convenient and fast user-interface. Theme installation has become simpler. Now, you can simply select a theme from the directory and click to install it. The new CodePress editor will give syntax highlighting to the edits you make in the theme or plugin. The improved widget-interface will allow you to drag and drop widgets between sidebars and much more. Following the contributions from over 150 developers, the latest WordPress version 2.7 is available for downloading or updating your previous dashboard. Named in the honor of John Coltrane, the version is all set to surprise you with the newly introduced interface. The dashboard has been upgraded to make it more user-friendly. You can now simply arrange things with drag and drop feature to prioritize them. From the new dashboard you can comment threading, paging, and reply to comments. A single click can now help you install any plugin directly from WordPress.org. The latest version allows you to customize every screen just by clicking “Screen Options” and uncheck it. WordPress has released its version 2.6 “Tyner”, named in the honor of jazz pianist McCoy Tyner. This next generation WordPress has been launched almost a month ahead of the schedule. An interface similar to Wikipedia or a version control system will help to check what and who made changes to any post or page. Add the “Press This bookmark” to your toolbar to enable a fast and smart popup to do posts to your WordPress blog. Now, you can test your theme and the appearance of all the content before making it live for the users. WordPress has finally released its version 2.5 following the significant efforts made by the WordPress community since the past six months. The dashboard has been improved to provide you with a clean, faster and less cluttered experience like never before. The dashboard offers a series of widgets such as those for postings, latest comments, people linking to you, new plugins, and WordPress news. Save your time by uploading folder of images or music or videos at once. You also get to check for the progress of each upload. You will no longer require plugins to manage the tags. The theme will allow you to edit, add and do whatever else to the tags from within the WordPress. The password strength meter will help determine how good is your chosen password. For those of you on multi-author blogs, WordPress will prevent you from saving any changes until the other person is done making changes on the same post. WordPress has released its version 2.3 “Dexter”, named for the great tenor saxophonist Dexter Gordon. This next generation WordPress is available for download and upgrading your old dashboard. The Native tagging support feature will enable you to use tags in addition to categories on your posts. The new update notification will notify you of any new WordPress release or if plugin updates are available. For multi-author blogs, the new pending review feature will permit authors to submit a post for review by an editor or administrator. The new advanced WYSIWYG functionality will enable you to access some features of TinyMCE that were previously hidden. Named in the honor of tenor saxophonist Stan Getz, the final version of WordPress 2.2 “Getz” is all set to update the look and features of your old dashboard. Download the version to experience the new added features, especially the integrated widgets. The recently introduced WordPress Widgets will help edit, rearrange the weblog areas, especially the sidebars, using the drag-and-drop functionality. The previous versions provided this functionality as a plugin Widget but the new addition has included this as default in the core code. This version includes Full Atom support, including updating the Atom feeds to use the 1.0 standard spec and implementation of the Atom Publishing API to complement the XML-RPC interface. This new version offers a new Blogger importer that can manage the latest version of Google’s Blogger product and conveniently import posts and comments. Infinite comment stream, meaning that on your Edit Comments page when you delete or spam a comment using the AJAX links under each comment it will bring in another comment in the background so you always have 20 items on the page. Now, you will protected from activating a plugin or modifying a file that will affect the blog. The Core plugin and filter speed optimizations will make your experience with the server much better. Named in the honor of jazz vocalist Ella Fitzgerald, the final version of WordPress 2.1 “Ella” is all set to update the look and features of your old dashboard. Download the version to experience the new added features. Autosave feature will ensure that you never lose a post again. While writing a post, the new introduced tabbed editor will enable switching between WYSIWYG and code editing instantly. You will be easily able to move content between WordPress blogs using the lossless XML import and export. The updated visual editor supports spell check. New search engine privacy option enables you to mark the blog as not to be indexed by search engines like Google. Now, any of your selected page can be set as the front page of the site, while, the latest added posts can be put somewhere else. The upgraded database is much more efficient, user-friendly, faster and seamlessly coded. Pages can now be saved as drafts, or made private. The admin has been refined to load faster and be more consistent in terms of appearance. The dashboard now loads quickly and fetches RSS feeds in an asynchronous manner in the background. Right-to-left languages are now supported. Named in the honor of jazz pianist and composer Duke Ellington, WordPress latest version 2.0 “Duke” is available for download and updating the look and features of your old dashboard. The backend panel has been completely redesigned for both aesthetics and usability. The new version will provide you with faster administration and streamline all of the tasks necessary for managing the blog. The WYSIWYG editing has been worked upon to offer a smooth experience. Skippy’s DB backup plugin has been added to backup your database to a file. A new feature has been introduced in the rich text editor that enables you to resize the editor simply by clicking on the corner. Now the postings would be much faster and convenient. You can customize the blue header with the colors and text of your choice. WordPress latest version 1.2 “Mingus” is available for download and updating the look and features of your old dashboard. This version is stuffed with so many new features. Get the most of comprehensive blogging system with the ability to hierarchically manage multiple categories combined with sub-categories. Import and export OPML to systems like Bloglines or desktop aggregators like NetNewsWire. You will be protected more with the introduction of Encrypted passwords and cookies. The new plugin architecture will make it easy for you to modify or extend the features of installed plugins. WordPress is now internationally known and you may use it in native language. Several translations are already installed. You can now post preview your content to bring changes, improvements or proofread before making the blog live. WordPress has finally released its version 1.0 following the significant efforts made by the WordPress community. Download the version to experience the upgraded look and features. This version allows you to structure the in a way that is search engine friendly and is more meaningful, semantic. With WordPress, now you can have one post in twenty different categories. This version supports multiple categories per post. You can easily install and upgrade WordPress simply by editing one configuration file, wp-config.php. You can approve the comments to be displayed on the main website, in addition to open or close comments. Major changes have been introduced in the admin panel interface. You can now create users from admin. The new interface enables you to quickly do postings. WordPress 0.72 is now available for download. Upgrade the old version and experience the new look and features. Posts will be now password protected. The API support has been made better. You will get full or near full support for the Blogger, MetaWeblog, and MT APIs. Improved upgrade and install scripts. The post and edit interface has been revamped. The Link Manager and the XHTML auto-formatting has been improved. You will get Geographical data support. Features for uploading images have been improved. WordPress 0.71 is now available for download. Upgrade the old version and experience the new look and features. The performance speed has been increased by a margin of 300%. Now the posts can either be published, saved as draft or made private. Publish is to make the post live, drafts means the post has been saved in the database and a privatized post can only be viewed by the author. Now you can enable or disable comments and pings individually on a per-post basis. You will experience a smoother and cleaner administration. The upgrading system has been made better and still being worked upon to provide much clean upgrades. WordPress has launched its first version. You can download the version to experience the features. The link manager will administer every task rom Weblogs.com support to managing several blogrolls and their display. WordPress is compliant with XHTML standards up to 1.1. Highly Intelligent Line Breaks function will help add line breaks except where line breaks or a block level tag is already present. A new administration interface has been introduced. Manual Excerpts will help draft summaries of your posts for RSS feeds.